Scientists have recently discovered yet another reason we MUST save nature's pollinators from extinction, specifically in this case, honeybees. In addition to the invaluable pollination services they provide, honeybees may also be a source of alternative tools to fight infections in the face of ever-increasing numbers of antibiotic-resistant pathogens. Fresh raw honey has been used throughout history to treat infections. 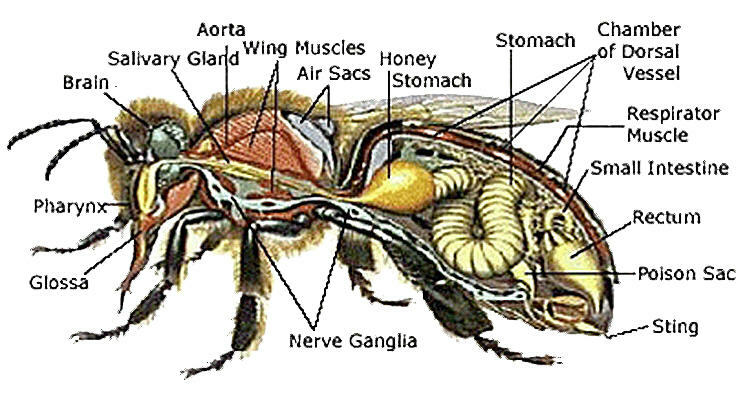 It is found in the honey stomach of bees and is quite different from the manufactured honey sold in grocery stores. In fact, highly processed store-bought honey is akin to high fructose corn syrup, which is more likely to increase infection and should never be used to treat topical wounds. The bee honey bacteria was tested in the laboratory on severe human wound infections such as MRSA (methicillin-resistant Staphylococcus aureus), Pseudomonas aeruginosa and vancomycin-resistant Enterococcus (VRE). When the bacteria was applied to the infectious organisms in the lab, it neutralized all of them. The lactic acid bacteria has also been tested on horses with persistent wounds. The bacteria was blended with honey and applied to the wounds of 10 horses – wounds that had not responded to any other treatment. The result? The honey mixture healed all of the horses' wounds. The same formula has also previously been shown to protect against bee colony collapse. "Antibiotics are mostly one active substance, effective against only a narrow spectrum of bacteria. When used alive, these 13 lactic acid bacteria produce the right kind of antimicrobial compounds as needed, depending on the threat. The researchers plan to conduct further studies on the use of honey to treat topical infections in humans and animals. Manuka has an exclusive ingredient with antimicrobial qualities called the Unique Manuka Factor (UMF) that give it extraordinary antibacterial activity. Honey releases hydrogen peroxide through an enzymatic process that gives it its antiseptic qualities, but active manuka honey contains a "special something" that makes it far superior to other types of honey when it comes to killing off bacteria. The level of UMF varies, which is why each batch of manuka is ranked and priced according to the quantity of UMF it contains. The higher the concentration of UMF, the darker, thicker, and more expensive the honey. A rating of UMF 10 or higher is recommended for medicinal use. The honey used to treat wounds is a medical-grade honey, not just a jar from a shelf in a kitchen. Medical-grade honey is cultured to insure it doesn't contain bacterial contaminants. I use manuka honey extensively on my animal patients to manage resistant skin infections (for example, hot spots, feline acne, and acral lick dermatitis) and large wounds that can't be closed surgically. This is a (quite gruesome) photo of an extensive soft tissue de-gloving wound to the left rear paw of a homeless cat I found in the ditch while driving to work. The wound had developed gangrene. I had heard about the antimicrobial effects of manuka honey, so I decided to try it on this poor kitty. The only treatment he received for his terribly infected wound was daily application of manuka honey and a light bandage. (I also gave him oral pain management, but the only treatment for the wound itself was manuka honey.) He healed remarkably quickly and required no antibiotics. We named the cat "Manuka" and my niece, Blair (pictured), adopted him. Do You Make This Bee-Killing Mistake? Hot Spots: How to Treat Them and What Do They Mean?